“Indeed this interview needs some introduction. Some time ago, my compatriot and colleague Ato Michael Abraha approached me for an interview. I agreed and he sent me some challenging questions. I liked them and replied from the deepest of my heart; out of conviction. But later I received the edited interview and I was bewildered to notice that some of the challenging questions were either tuned down or reduced to one simple sentence. Reading my reply without the original questions makes me a kind of a laughing stock; someone who gives answers to unasked questions. I objected to the publication of the altered interview. Initially Awate.com was not going to publish the interview because, among others, the website has a policy against duplicate publications. A request from both the interviewer and the interviewee was sent to Asmarino.com to embargo the interview until further notice but, due to different circumstances, it failed to notice the request and published the interview to which I didn’t gave my consent. 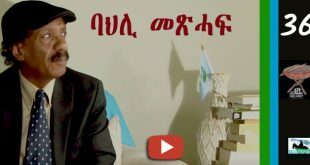 In addition, the interview as appeared on Asmarino.com contains some errors due to technical problems on the side Michael Abraha. For example Voltaire can’t say “Hands of from Awate.com” since Awate, let alone Awate.com, didn’t exist in the time of Voltaire. I used his well know quotation “Even if I disagree with what you say, I will defend to death your right to say it,” to defend the right of Awate.com to publish whatever it wants to publish. Let the reader read this interview with the original questions and I am sure the reader will understand more why I replied the way I did. Don’t get confused about December 10, International Human Rights Day. This interview was meant to be published on December 10. Original question asked to Habtom: 4. The Eritrean government has long been branded as a war monger. Any citizen who refuses to behave as such is branded as unpatriotic, a spy or traitor. Such a person, whether a Moslem or Christian routinely ends up in jail where he is likley to be tortured, starved or rot to death. 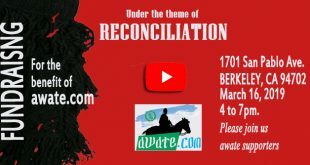 Awate.com and its publisher Saleh Gadi who is prolific writer and whom I regard as a friend and colleague, have been propagating ideas that do not help to bring Moslems and Christians together. Awate.com has been publishing stories demonizing Christians and highlanders. Evidently, all Eritreans in the lowlands or highlands are now deprived of their rights, dignity and freedom. This is not to deny that social and public services, such as education and health care, have been historically inadequate in the lowalands. 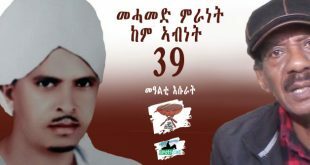 Critics say that Saleh Gadi is knowingly or otherwise encouraging Islamic fundamentalism in Eritrea. We know extremism has not helped Somalia or Sudan. So what is Saleh Gadi trying to achieve. 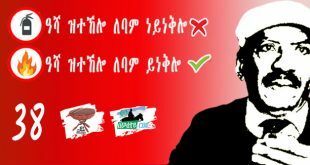 Altered question shown to the public: On the idea that Awate.com should focus more on basic values that unite Eritreans such as tolerance. As ediors we understand that people edit long texts to make it readable, but changing the spirit and the tone of the questions is not editing, it is forgery. Here Follows the unaltered version of Habtom’s interview. Good reading. 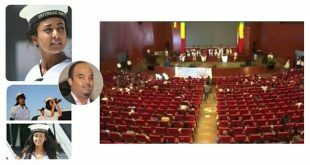 Habtom Yohannes: “Actually the Brussels Conference of 2009 (BC-2009) is thoroughly explained by my colleague Abdulrahman Sayed (Bohashem) in various interviews. The conference was a success in that it put our country and Eritrea on the international agenda. High representatives of the two world superpowers, the United States America and the European Union debated the Eritrean situation in particular and the situation in the Horn of Africa in general for two lengthy days. Representatives of different European countries were also present. Representatives of the African Union, the ambassadors of Ethiopia, Djibouti, Sudan and Nigeria participated. 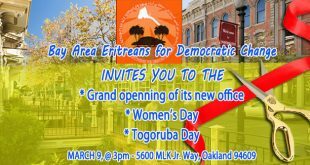 The Eritrean Ambassador, Mr. Girma Asmerom was invited but didn’t show up. Today, December 10 is International Human Rights Day. This day is a day of jubilation for those who live in liberal democratic countries and it is a day of sorrow for those who live under dictatorship. 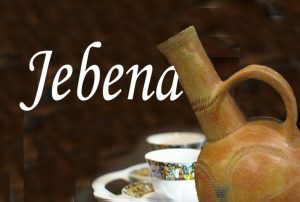 The Eritrean people, including those in the government, have paid dearly for the independence of the country and for the democratic rights of every Eritrean citizen. The first is achieved but the second one: civil and political rights, is long overdue. 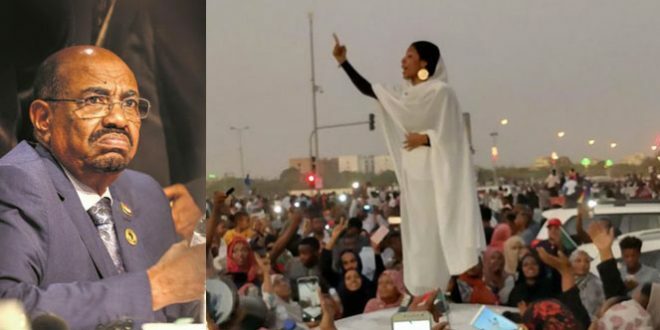 Despite the fact that Eritrea is signatory to, among others, the International Covenant on Political and Civil Rights http://www.hrweb.org/legal/cpr.html, the Eritrean Government continues to deny its own people basic human and democratic rights under the pretext of perceived and real threats. All who were present in the conference unanimously condemned the gross human rights violations in Eritrea and called upon the Eritrean Government to respect the basic rights of its own people irrespective of any regional developments. The main task of any responsible government is to defend the basic rights of its own people and not to violate them. The naked human rights violations inside Eritrea were symbolized during the conference by the book of professor Kjetil Tronvoll. The former Norwegian Prime Minister and current Chairman of the Oslo Centre presented the book and called upon the Eritrean Government to defend the basic rights of its own people, which was underscored by all who were present at the conference. I don’t think there is a sane person on earth who denies that our people survive in fear. In Eritrea we have a government that instills fear in the blood vessel of the Eritrean people. If a government fears the people, you call it democracy and if the people tremble because of their own government, then you can’t call it other than dictatorship. Eritrea supports and arms different Ethiopian opposition groups that are based in Eritrea. This groups have been using the failed state of Somalia to smuggle arms and troops deep inside Ethiopia. Ethiopia, the Sudan and Yemen has formed the so called Sana-Axis to support and arm Eritrean opposition groups inside Ethiopia. Many don’t know that the Sana-Axis Group is the God-father of the Eritrean Democratic Alliance (EDA). 1. The immediate demarcation of the Ethiopian-Eritrean border according the EEBC-decision (Ethiopian Eritrean Border Commission) of April 2002 followed by constructive dialogue between both countries. Dialogue starts with the immediate execution of legal decisions. This is not about the present Eritrean Government but it is about Eritrean sovereignty and the Eritrean people. Serious and responsible opposition groups should adhere to the EEBC-decision of April 2002. I think those who want to achieve peace with Ethiopia without addressing this issue are either naive or they are driven by short-sighted personal gains. A powerful who doesn’t obey to (international) rules is like a horse without a bit. Constitutions tame the power of national government and International laws and decisions do the same with powerful neighbors and international bodies. 2. The immediate withdrawal of all foreign troops from Somalia; immediate halt of arms transport to Somalia and to put Somalia under the United Nations Administration until the country gets a viable government by all Somalians and for all Somalians. 3. To oblige all Horn countries to be serious about democratization, human rights and good governance. They should allow peaceful opposition groups, nourish responsible civic societies, strengthen the middle class, allow freedom of press and democratic governance. Habtom Yohannes: “I am telling here my personal conviction. From the outset I have been against the obsession of Dr. Janday Frazer (the Assistant Secretary for Africa during the Bush Administration) to declare Eritrea as State Sponsor of International Terrorism. Some opposition groups, political and civic alike, who applauded the failed attempts of Dr. Frazer to put Eritrea in that list, should be ashamed by now. Even before she left office, Dr. Frazer attempted to declare Eritrea State Sponsor of International Terrorism. She failed and I am very happy about that. Mr. Frazer, to the bewilderment of the then US-Ambassador at the United Nations, Mr. John Bolton, asked him to reopen the April 2002 EEBC to privilege Ethiopia (read his book “Surrender Is Not an Option, pp347). She has no moral high ground to label Eritrea as State Sponsor of International Terrorism. Eritrean opposition groups, political and civic alike, should discern between Eritrea and the Isaias administration. The African Union and IGAD (The Intergovernmental Authority for Development), unique in the history of the continent, have called on the Security Council to sanction Eritrea for its occupation of contested border territories with Djibouti and for its involvement in Somalia. Ethiopia is still occupying sovereign Eritrean territory against UN, US, AU and EU-sponsored international ruling and no international body has called for sanctions against Ethiopia. I abhor the human rights violations of the Eritrean Government but this doesn’t mean that I should embrace everything that is against the Eritrean Government. Maybe I am not a politician. I have never struggled for political power but for justice based on the naked truth. I have committed myself to serve my country and people from those principles. Habtom Yohannes: “Well, I am not crystal gazer but I don’t think this call for sanctions will succeed. It is for everybody clear that the Ethiopian Government is behind this call for sanctions. If this sanctions win then it is not because they are just but because of the yet another diplomatic failure of the Eritrean Government. 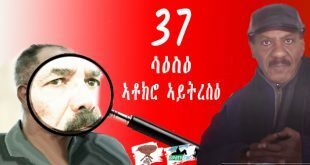 The Ethiopians have not only beaten President Isaias Afwerki (not Eritrea!) on the war-front, they have outsmarted him in the diplomatic front as well. I am not talking here about who is right and who is not. I am talking here about diplomacy. Diplomacy is peaceful warfare. You use all strategic means and tactics to achieve what you want to achieve. This means that you have to work with others, intermingle with international bodies and convince them. Show some form of statesmanship. It has been time immemorial since President Isaias Afwerki visited democratic European countries or the United Nations. If African nations succeed to sanction Eritrea then this shows the failure of Eritrean Government’s diplomacy and not only the diplomatic strength of the Ethiopian Government. What have been doing all the Eritrean Ambassadors in different African nations? Where is our Foreign Minister? Do we have one? Is that Minister Osman Salih or Ato Yemane Gebreab? While President Afwerki and his cohorts spend their precious time antagonizing the international community and oppressing their own people, the Ethiopians spend time and energy in diplomacy. International diplomacy is not always about fairness and about who is right. It is about attaining your right. We must do a thorough study about the decision of the AU and IGAD’s decision to call on the UNSC (United Nations Security Council) to sanction Eritrea. It is oblivious that Ethiopia is behind this call for sanctions, but when did this took place and where were the African “friends” of President Afwerki (like Mugabe, Kaddaffi and Al-Bashir) when the decision was taken? An interesting topic for historians, political scientists and journalists. I don’t think the UNSC will approve sanctions against Eritrea. The majority of nations are ruled by dictators. Most of them receive support from Western Countries out of strategic interest and the West declines, the majority of these dictators can get easy support from China and Russia; two of the five permanent members of the Security Council. Permanent members of the UNSC have the right to veto any proposal. I think the tabled proposal to sanction Eritrea will be vetoed by France, China or Russia. Do you remember Resolution 1862 of the United Nations Security Council? It was drafted by France -one of the permanent members of the SC- and adopted by the whole SC. It gave Eritrea five weeks to withdraw from the contested territories of Ras Dumeira and Dumeira Island. It has been almost a year since the resolution was issued but nothing on the ground has changed. So let us not expect miracles from sanctions here and sanctions there. 1. ban on weapons sales both into and out of Eritrea, 2. freezing the funds of the “Eritrean political and military leadership and 3. restricting its foreign travel. President Isaias Afwerki and his cohorts have brought this disaster upon themselves and the nation. They deserve it but not Eritrea and the Eritrean people. From the regional perspective and the interest of Eritrea as a nation, I am against any sanction that weakens Eritrea but targeted sanctions that hit the regime on its Achilles heel must be welcomed by all who want a peaceful transition in Eritrea. At the same time we must be realistic. There are many countries that will breach the sanctions for their own interests. I have mentioned some of them earlier, but one can mention also different countries in the Middle East and in the former Soviet Union that will supply the Afwerki government with every support it needs. Sanctions haven’t worked miracles in Burma, North Korea, Cuba, Zimbabwe and Iran. Even targeted sanctions alone won’t bring quick change in Eritrea. Lasting change is only possible from inside with genuine outside support. Habtom Yohannes: “I think questions regarding our friend Sale Gadi should be addressed to him. I can’t explain what his motives are. 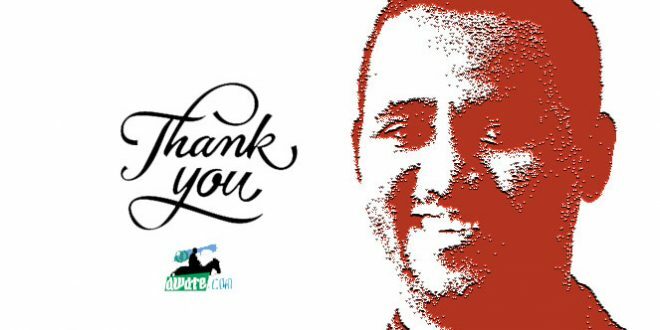 I know one thing: Saleh Gadi and the whole Awate team have been serving the Eritrean people and even the international community in a very special way. This goes also for the different Eriteran websites like Meskerem.net, Assena.com, Asmarino.com and all the opposition websites. I am not saying here that everything that appears on one of this websites is commendable or it is my cup of tea. Some of them have been publishing lies. Even if they publish daily things that I don’t like, I will defend their right to publish what they want to publish. I will defend Meskerem.net evenly as I will defend Awate.com! It is about freedom of expression, freedom of publication and freedom of gathering information. Democracy and freedom of expression are not for the fearful. I don’t have any problem with any publication as long as the articles are not written under pen-names. Our struggle for liberal democracy in our country is best served with open communication and not with censorship. If I believe in what I say and write, then I must use my name and my face. Pen names have been creating chaos, distrust and confusion amongst Eritreans. We don’t know who is writing what and for what purpose? I don’t know if there are foreigners behind some pen names or people with divisive motives. This has been my principle from the outset and I don’t support pen-names. There have been rumors that Salih Gadi is the one who has been writing the articles under the pen name of Ali Salim. Instead of focusing on the contents of the articles people’s attention is deviated by suspicions and counter suspicions. The best way is to allow articles that are written under the real name and face of the author. I don’t think Salih Gadi is behind Ali Salim. Salih Gadi has been expressing his opinion openly from the outset. Some of his articles carry similar thoughts as that of Ali Salim. I don’t think Salih Gadi is cowardice to hide himself behind pen names. But still I can’t convince others that Salih Gadi is not Ali Salim or vice versa. I don’t have the evidence. And this is all created by pen-names in this trying times. Instead of attacking Salih Gadi or Awate, people should exploit the privilege they have got thanks to this website: let them write argumentative articles that are well-founded to refute opinions they don’t like. The only thing I don’t like about Ali Salim or others like him is their use of pen names. If they mean what they write, let them come in to the open! I don’t believe that Ali Salim or others can create chaos in Eritrea because they write what they write. Many before him have tried this “ethnic”, “religious” and “regionalist” cards. They all have failed miserably. Ali Salim (whoever he might be sicne we know him as a ghost. We don’t know if he is a boy or a girl, a foreigner or an Eritrean) and Sheik Hamid Turki are not the only Eritrean Muslims and lowlanders. Many beloved Muslims and lowlanders have paid dearly for an inclusive and democratic Eritrea. 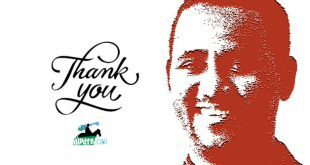 Some have already gone and others like, for example, Mr. Ibrahim Mohammed Ali – may God recover his health fully!- are amongst us. Eritrean Muslims are part and parcel of my identity and I won’t allow that heroic Muslim identity to be destroyed by those who preach “religious” war. Habtom Yohannes: “I don’t know if your first statement is always true and I am very apprehensive about your last sentence of your question. Let me first start with the first one. Aggression and human rights violations do sometimes happen based on color, ethnicity, religion, class and so forth. 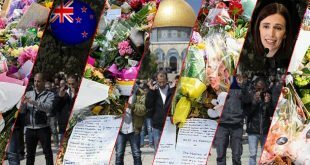 In the case of Eritrea there are reports that Muslims were rounded up and even in some cases executed because of suspicious allegation of collaboration with Islamic Jihad and similar movements. At the same time Charismatic Evangelical Christians (those who don’t belong to the three government-sanctioned Christian religions) have been the victim of blind persecution just because they refuse to recant their faith in Jesus Christ. The government persecutes these people because they belong to a specific religious conviction. The Johova Witnesses are a good another example of this religious specific persecution. But if you mean that all, Christians and Muslims, Intellectuals and the Illiterate, the Highlanders and the Lowlanders, the religious and the secular, the Hamasien and the Akele-Guzai and so on are all victims of gross human rights violations in Eritrea, then I totally agree. The oppressor might use different excuses -religious, political, regional– to torment the Eritrean people but we must not use the same tactics to bring rule of law in Eritrea. We won’t succeed. On the contrary, every negative aspect of struggle we employ now will explode on our faces sooner or later. Only qualitative struggle with vision and strategy will win. Only the weak dwell on divisive issues to draw attention on themselves. Some of them survive because of these divisive politics. They actually survive because of President Isaias Afwerki; dictatorship in Eritrea. Once rule of law is secured in our country and our people regained their dignity/dignity, these people will disappear like the snow before the sun. These people only survive in chaos and in confusion. Your second statement “How can we get the Awate Foundation to join other democratic forces and focus on the fight to uphold such basic values of compassion, tolerance and so forth” frightens me. Some are claiming that they are the democratic forces with compassion and tolerance while Awate Foundation is not. I totally reject this notion. Note that I am always in agreement with what Awate Foundation does or what it published or what it allows others to publish on its website. But my friend Awate.com has showed more democracy and virtues of democracy; at least as far as freedom of expression, tolerance of opinion, the right to gather information and so on is concerned. Who are these democrats who are claiming these virtues as you mentioned in your question while depicting Awate.com as war-monger, intolerant and undemocratic? As the Frans Philosopher Voltaire who was refugee in The Netherlands stated: “Even if I disagree with what you say, I will defend to death your right to say /(express”, HY) it. Hands off of Awate.com.